To make the BBQ’d lemon juice simply cut the lemons in half and grill flesh side down on your BBQ until they begin to char. If your BBQ has a lid, close it, as this will allow the lemons to smoke and take on even more flavor. When lightly charred, remove the lemons and allow to cool, then juice as normal. 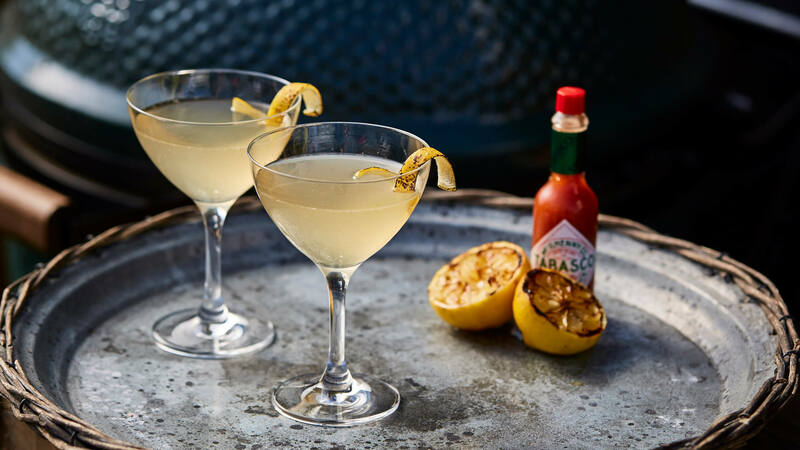 Combine the gin, 25ml of BBQ’d lemon juice, sugar syrup and TABASCO® Sauce into a cocktail shaker. Cover and shake for 10 seconds. Strain into a champagne flute or coupe glass, and top with sparking wine (or Cava or Prosecco if using). For the garnish, gently char a length of lemon peel on the BBQ. When the peel has cooled, shape it into a twist with your hands over the cocktail and rest on the rim of the glass. Tip: to make a pitcher of this cocktail, multiply the recipe by six.